If you’re looking for Food Delivery in Kingston, Ontario then you’ve came to the right place. In this article I am going to discuss some of the food delivery services in Kingston and what they offer. I’ve personally used every one of these multiple times – purely for research for this article of course!!! I’ve also listed restaurants in Kingston that offer food delivery outside of these food delivery services. Skip The Dishes:: Formerly Just-Eat, Skip The Dishes is the best option for food delivery in Kingston my opinion. They offer both an app and a website with live tracking so you can see the status of the delivery. You’ll see when the driver picks it up and is on the way to your house. You also pay online so no need to worry about having cash. Skip the Dishes offer a wide variety of restaurants that support the Kingston area. It can vary depending on where you live of course. Looking to order from a chain restaurant? Jack Astors and Montanas are there. A burrito place? They’re all on Skip the Dishes. Pizza? From local to chain, they’re there. I’ve found the customer service excellent at Skip as well. Incorrect food items happen, but when I’ve contacted them about it they’ve been quick to give me a credit for the food item PLUS the delivery and tax cost so I can immediately order it again. Uber Eats: Uber Eats are good simply because they offer restaurants Skip the Dishes don’t order from. If all things are equal I persoanlly order from Skip, howevre as of this writing Uber Eats offer the likes of McDonalds and Subway which Skip don’t. Uber Eats also offers live tracking so you can see where your order is at any time. The majority of restaurants in Kingston use the above – even if they offer their own delivery service. Below are restaurants I am aware of that are not listed on the above. Bubbas Pizzeria: Opened their own delivery service in 2018. 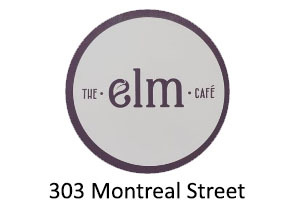 Try their famous poutine! Minos: Greek restaurant. The pink Salad dressing is unreal! This entry was posted in Guide on March 5, 2019 by graemescott.